Costs – Find out the average costs of tree removal, maintenance and stump removal or grinding in St. Louis, Missouri. FAQs – While St. Louis is a warm, thriving climate for many types of trees, there are some that tree owners should consider not planting and rules to know as outlined by the city. Read more. Services – Find a local arborist near you today! How Much Do Tree Services Cost in St. Louis? While it is possible to do your own yard maintenance, there are some jobs that are best left to professionals. In order to ensure your safety as well as the safety of your neighbors and their property, the following tasks should be handled by licensed, reputable tree trimming companies. The cost to remove a tree in St. Louis will depend on various factors including the height of the tree, its proximity to power lines and any other extenuating circumstances the tree trimmer may take into account. For most consumers, the price is between $485 and $710. The average price for tree removal is $600. The cost of stump removal will vary depending on exactly what you need. In most cases, a tree trimmer can simply grind down a stump using a stump grinder. This is the cheaper option and will generally be quoted at an hourly rate. For a larger stump, a grinding costs $80 on average. If the entire stump needs to be removed, roots and all, that is a larger project that will require more resources from the tree trimmer. The cost is generally between $150 and $200 depending on the size of the tree and the difficulty of the job. When estimating the exact cost of tree trimming or pruning, some companies will quote an hourly rate while others will offer a flat rate for the entire job. Generally, it is better to go with the flat rate between $250 and $450, but the total cost will depend on the size and complexity of your specific project. With roots dating back the Native Americans, St. Louis was first settled by Europeans in the 1690s. It has since grown into one of the largest cities in the Midwest with more than 2.7 million people in its metro area. Located on the banks of the Mississippi River, this city is home to numerous parks and outdoor activities featuring some of the following trees. The state tree of Missouri is the dogwood, and they can be found throughout the St. Louis area. Known as the Cornus florida, this small tree produces beautiful white flowers. 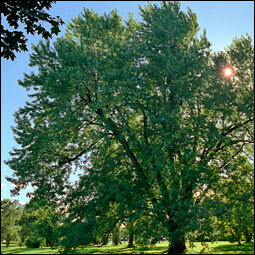 It has been the state tree of Missouri since 1955, and many parks and yards in St. Louis feature these gorgeous trees. They grow best when surrounded and protected by other plants and can normally be found on the edges of groups of trees. Because St. Louis has four very distinct seasons, it can be difficult to grow fruit trees and other plants that require a steady climate. It is possible, however, to find apple and pear trees in this area of Missouri. It is possible to grow other types of fruit, but great care must be taken to keep them alive during the harsh winters, including moving them inside to a climate-controlled environment. For a tree to thrive in St. Louis, it needs to be able to withstand extreme heat and extreme cold. 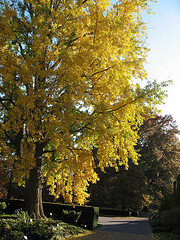 Any of the above trees will thrive, as will trees like the Autumn Fantasy Maple and the Pin Oak. In the city of St. Louis, a person must apply for a permit with the Commissioner of Forestry before doing any sort of tree work. This includes all tree removal. This is done in the name of public safety due to overhead power lines and the close proximity of homes in the city. The best time to do tree removal is in September or October. Because St. Louis winters generally produce a lot of ice, removing a dead or unwanted tree in the fall can prevent a tree from collapsing under the ice. Generally, the sweetgum tree is the most difficult to maintain. This is because of the prevalence of sweetgum balls that can spill into a neighbor’s yard. These tiny, thorny balls are a nuisance when trying to cut the grass and can result in neighborly disputes if the sweetgum balls are not properly disposed of. 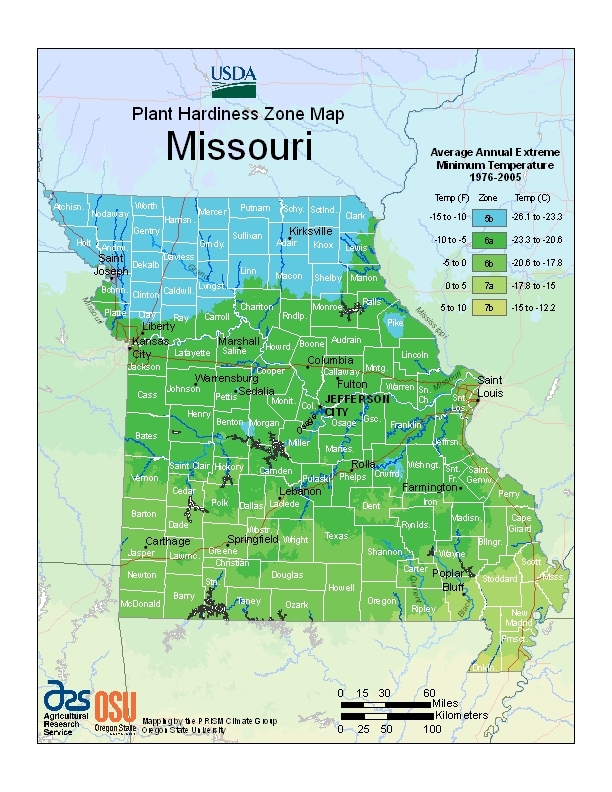 There are several known problems for trees in St. Louis and in Missouri as a whole. These diseases can include emerald ash borer, thousand cankers disease and armillaria root rot. Tree diseases can be caused by insects as well as fungus and require immediate attention from a tree professional. Iif you suspect that your tree may be unhealthy, it is best to contact someone right away to prevent further damage. While St. Louis is home to many tall trees, the tallest tree in the city is located in the Missouri Botanical Garden in the Tower Grove neighborhood. This pin oak measures 125 feet and has been declared a “Missouri State Champion Tree.” Local parks in the city, including Forest Park, Tower Grove Park and Carondelet Park also feature many tall trees and areas of growth. The smallest trees in the city are generally freshly-planted dogwood trees, which are only about 3 feet tall and take many years to grow.